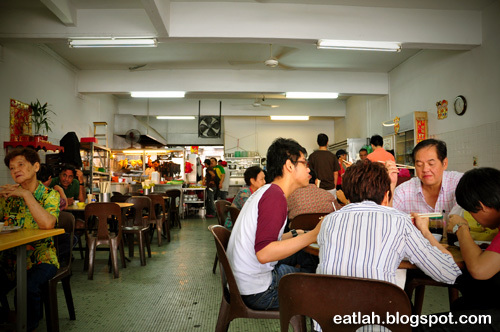 Restoran Chan Meng Kee @ SS2, PJ | where and what to eat lah? 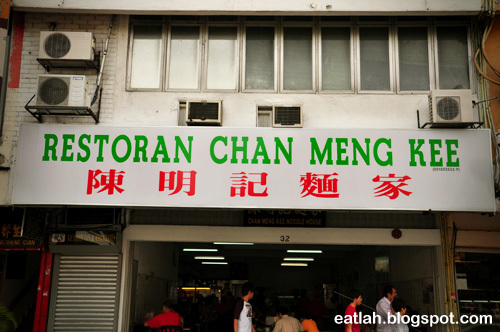 Like most people, you'll be shocked to find the legendary Ho Weng Kee wantan mee no longer in SS2 and replaced by Chan Meng Kee. I hesitated to step in at first even though they maintained the same menu as Ho Weng Kee. Nevertheless, I still gave it a try after hearing couple of good reviews from my fellow makan friends. 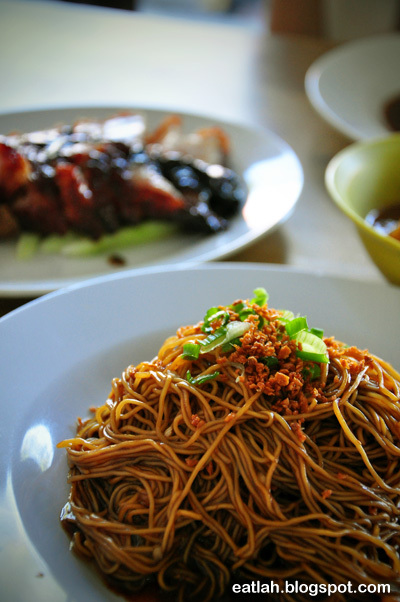 Apparently, Chan Meng Kee was the popular wantan mee stall previously located at Restoran Mel's Corner in Section 17, PJ. Wantan mee isn't something I usually eat, not because I don't like it but it's frustrating to find a good one! It usually has either good noodles, or good char siew, or good wantan - hardly come across with the all-in-one perfect combination. 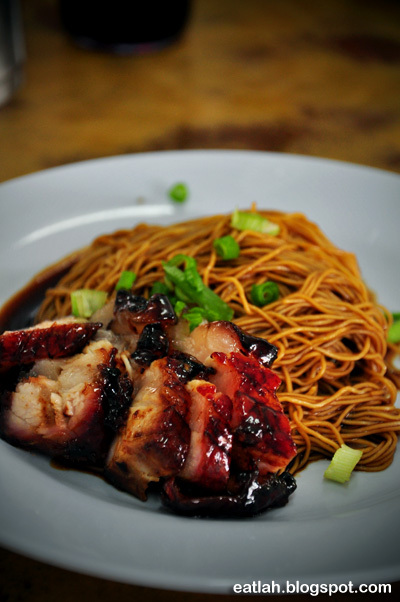 Chan Meng Kee's char siew wantan mee (RM 5), the almost perfect all-rounder wantan mee. The char siew were tenderly juicy with sweet caramelized skins while the noodles were springy and tasty with some lard fritters in it. Their melt-in-your-mouth char siew is definitely better than Ho Weng Kee's! 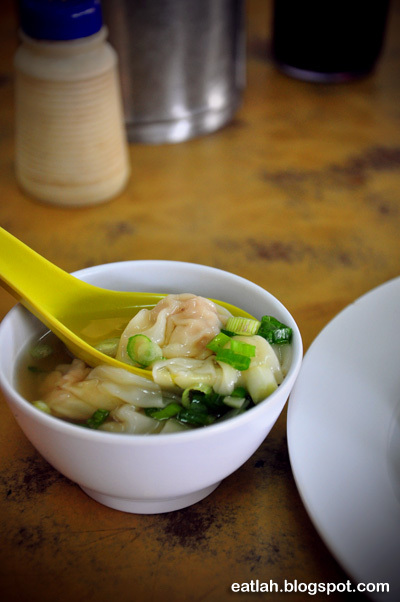 However, the wantan was just normal and decent. If only they were bigger, well, I might be asking too much. Ngau lam (beef brisket) wantan mee (RM 7.50) was one of my favorite must-order whenever I'm at Ho Weng Kee. Fortunately, Chan Meng Kee's version wasn't too bad either. The beef brisket was very tender, flavorful and combined with the springy noodles which absorb the long hours essence from the beef brisket broth - it was awesome! You can too order your wantan mee (RM 2) separately, like how I always have it. 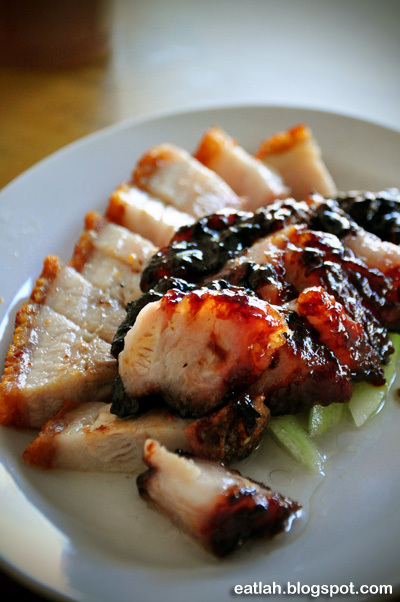 Sharing a plate of heart clogging char siew and siew yoke for two (RM 12). No doubt the char siew was very juicy but also unhealthily fattening as well; you might want them to tone down a little on the fats. Also, the siew yoke was fresh and succulent with golden-orange crackling crispy skins. Not to forget, pork rib curry (RM 6) with chunky bits of pork rib that was falling-apart tender in a thick fragrant curry gravy. 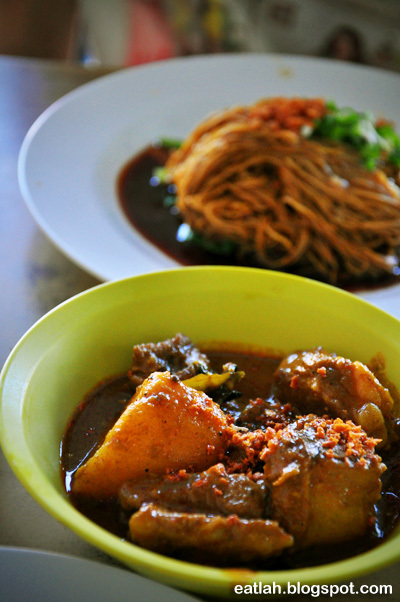 Since they always ran out of wild boar curry, pork rib curry wasn't a too bad alternative for the extra enrichment to the noodles. Verdict: Chan Meng Kee certainly did not disappoint and definitely better char siew than Ho Weng Kee's. Service-wise, it was attentive and fast too. Food taste is ok. But service is damn poor. Lady Boss also have attitude problem. Doesn't value their customers. Damn F*** ing "lan si". Each time ask for young char siew, give the fat fat one. The ones that always took my orders were usually the foreign workers there. They're pretty effective I'd say. We just went there. The char siew was not nice. 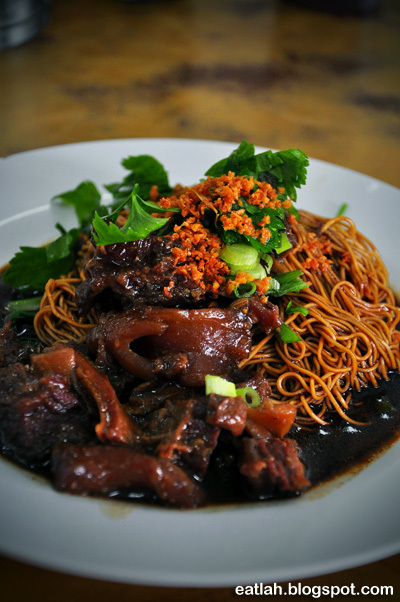 The waiter suggested getting a plate of char siew and wan ton to share and plain noodles for each of us. The char siew was very fat and the layer of char siew at the bottom of the plate was mostly inedible as it was all fat. It was not very enjoyable at all, and in the end we just left about a third of it uneaten, can’t imagine anyone wanting to eat char siew that was all fat. The noodles were a bit too oily too. The wan ton filling was not seasoned enough. We saw that the other customers ordered noodles and char siew and wan ton in a set. Maybe selling the plate of char siew a la carte was a ploy to sell off the otherwise inedible pieces of fat for a higher price. Needless to say, we will not go back and we would not recommend it to anyone else either. Wanton wasn't anything to shout off. But overall for a char siew wantan mee stall, they're actually better off than any average char siew wantan mee stall in most kopitiams. I'm pretty pleased to find this page. I want to to thank you for ones time for this particularly wonderful read!! I definitely really liked every little bit of it and i also have you bookmarked to see new stuff on your website. Great post! I just came back from visiting my grandparents in KL - I went there 5 times during my trip!